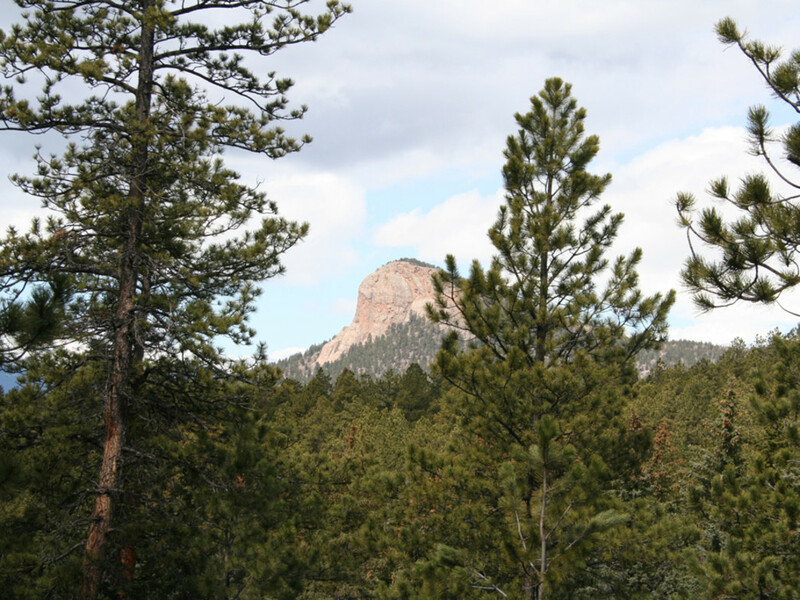 A slice of wild paradise beckons not far from Denver, 40 miles southwest of downtown yet a world away. 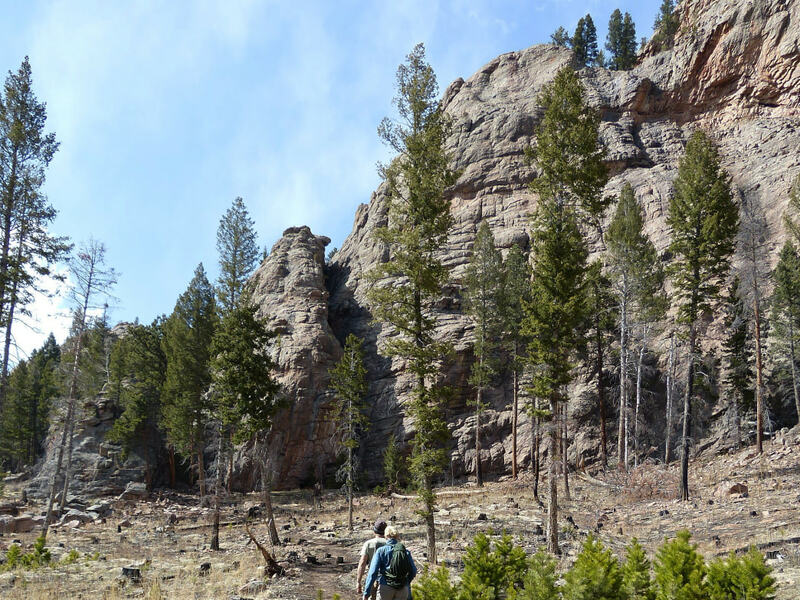 Staunton State Park is Colorado’s newest state park—a gleaming gem that opened in 2013 after 27 years in the making. This rural, 4,000-acre park beckons with its wilderness and, so far, limited development. Now is your chance to experience the park in its most natural state. Shortly after you start heading up Elk Creek Road off Highway 285 near Conifer, this magical place begins to cast its spell. Lions Head, the park’s signature rock outcropping, peeks into view, hinting at the grandeur to come. The park's captivating wildness, whose elevation stretches from 8,100 feet to above 10,000 feet, is complete with granite cliffs, rocky outcrops, rolling meadows, alpine forests, rushing creeks, fishing ponds, rare plants, and a stunning waterfall. The park’s namesake, Frances Hornbrook Staunton, was a nature lover whose family homesteaded the area in 1905. Three years before her death, the childless Staunton willed her 1,720-acre ranch to the state in 1986 with the stipulation that it be preserved as a “natural wilderness-type park.” The Staunton Ranch cabins remain on site, now listed on the National Register of Historic Places as a Rural Historic Landscape. This donation of land was a beautiful gift, but making it into a state park wasn’t easy and came with a hefty price tag. With insufficient funds to acquire adjacent properties and develop the park, the state risked having to relinquish the land. With the park’s future teetering in the balance, the state finally got funding from the Colorado Lottery as well as Great Outdoors Colorado (GOCO), a nonprofit established in 1992 to invest Colorado Lottery proceeds to preserve and enhance the state’s parks, trails, and open spaces. 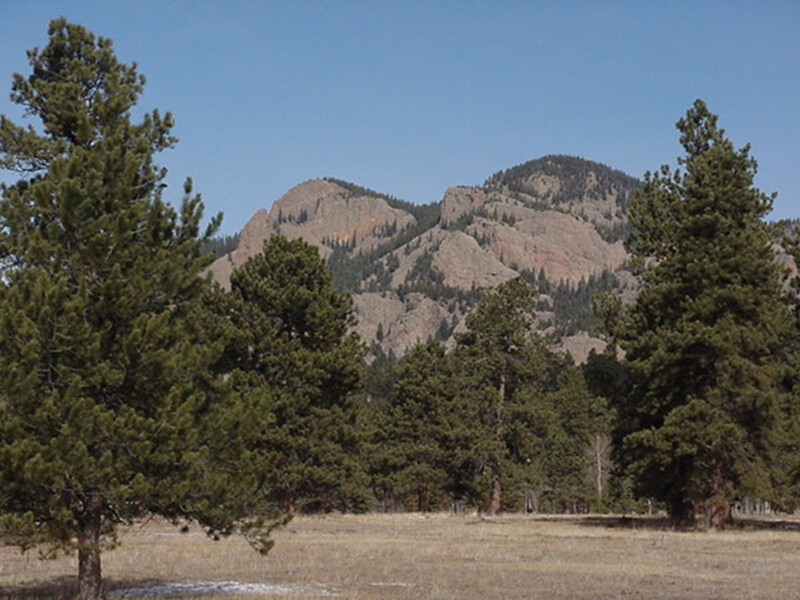 In 1998, GOCO gave $25.5 million to Colorado State Parks to purchase properties deemed crown jewels, with more than $10 million of it helping create Staunton State Park. For now, roads lead just a quarter mile into the property, leaving the majority of the park a wild backcountry experience, just as Ms. Staunton intended. You can strike out from one of three parking lots and explore 23 miles of trails on foot, mountain bike, or horseback. 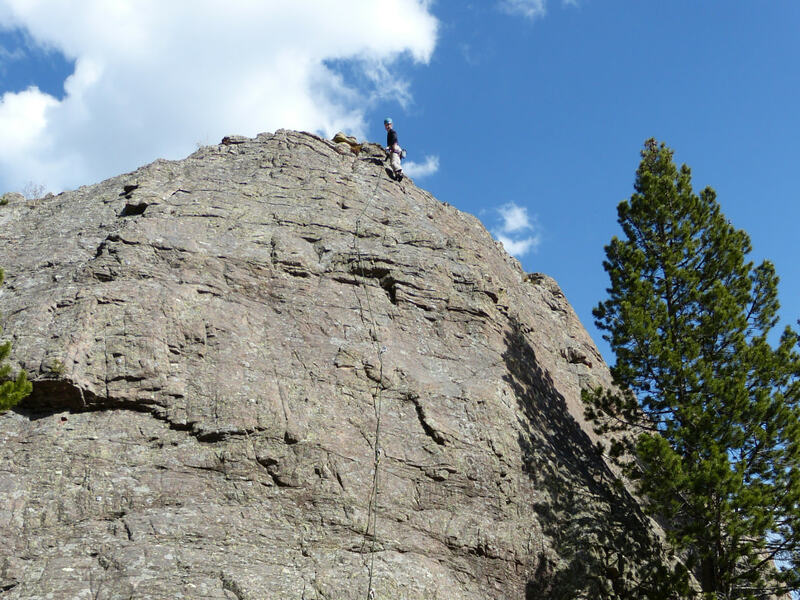 Or sling a rope over your shoulder if you want to tackle one of nearly 70 established climbing routes on the park’s beautiful cliffs and crags, with options that range in difficulty from family-friendly 5.3 to epic 5.12+. Visitors have to head home by nightfall, but this will soon change. Plans are in the works to offer camping at the park, starting with remote walk-in sites within a couple of years. The longer-term master plan calls for additional roads, restrooms, picnic areas, campgrounds, cabins, trails, and a service center, but the park will always retain a wilderness character. Ask people their favorite place in the park, and Elk Falls Overlook often rolls off their tongues. It’s 11 miles round-trip, but the journey rewards with views of Chimney Rock, the North Elk Creek valley, and the spectacular 100-foot falls. For a shorter jaunt, explore the Marmot Passage Trail, which offers equally stunning vistas. The Scout Line Trail is another good option, especially for hikers who prefer not to share the trail with horses and bikes. 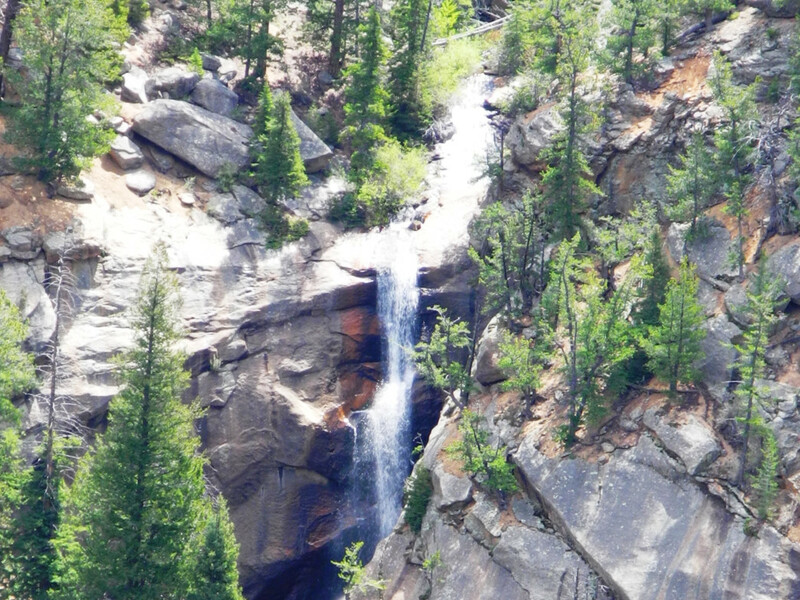 Ten more miles of trails are in the works in the coming year, including one to the base of Elk Falls. To get the latest scoop, keep an eye out for Wayne Parkinson, a volunteer who is president of Friends of Staunton State Park and often lingers at trailheads to chat with visitors. His latest tip? The park’s newest trail isn’t on the map yet. It’s a 1-mile loop that branches off the Lions Back Trail and takes you to the summit of Lions Head. Look for a turnoff about 50 feet before the Elk Falls Overlook. As you climb the rock steps, picture Parkinson’s calloused hands helping place each stone with care to share his love of this special park.